NIGERIA: Imo State Govt Discovers More Crude Oil In Obowo, Oru East And Ngor-Opkala Areas! 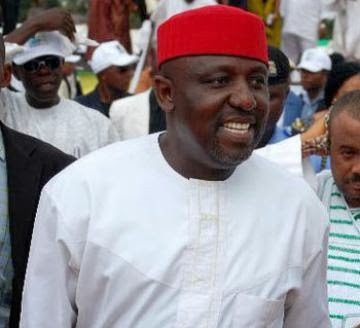 The Imo State Government said it discovered crude oil in some local government areas, and urged the Federal Government to inspect the sites for possible exploration. The Managing Director of Imo State Oil Producing Area Development Commission (ISOPADEC), Dr Henry Okoro, revealed this in an interview in Owerri on Friday. Okoro said the areas are Oru East and West, Ngor-Opkala and Obowo Local Government. He said if the oil discovered was utilised, it would afford the state an opportunity of becoming a front runner among the oil producing states in the country. “We have enough raw materials here in Imo which is capable of increasing the Internally Generated Revenue of the nation. “The Federal Government should come now and inspect these areas for possible exploration, because I know that a lot of oil companies will want to invest,’’ he said. The managing director said the commission had no powers to begin exploration in the areas, and stressed the need for the Federal Government to act fast.